The prisoners ate every last morsel. She ate every last morsel on her plate. She died after receiving a blow to the head. A sharp blow on the chest sent him spinning to the floor. We had to climb three flights of stairs. The toilets are two flights up. A flight of stone steps leads down to the courtyard. 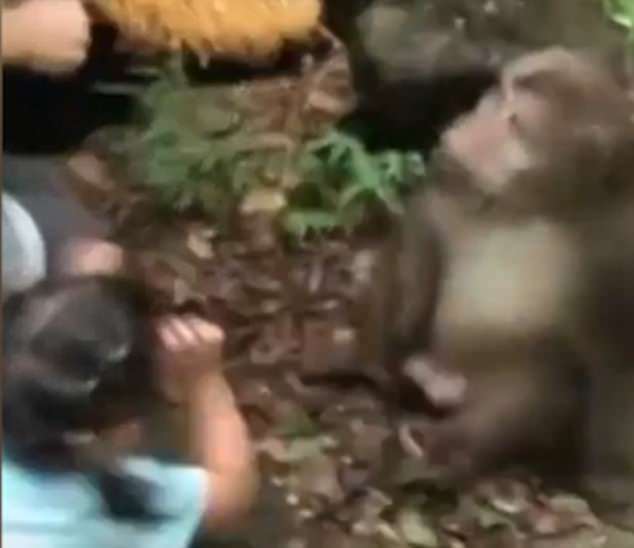 A monkey was caught on video punching a little girl in the face after she got too close while feeding the animal. 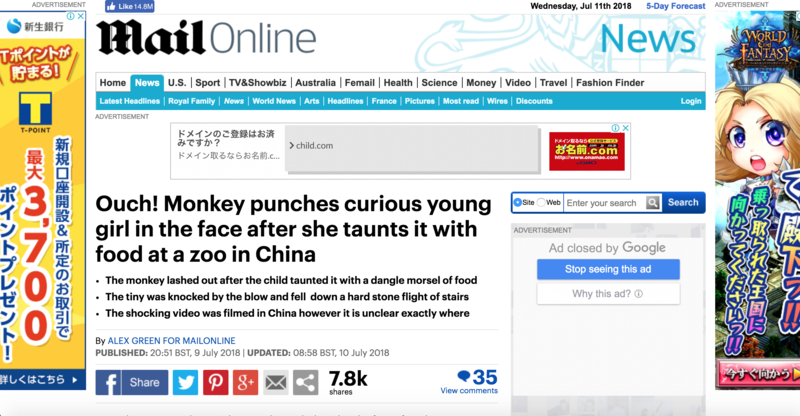 In the shocking footage filmed in a zoo in China the monkey lashes out at the child suddenly and without warning. The video begins with the child crouched down helping to feed the animal. She is accompanied by an adult who is handing the monkey morsels to eat. She crouched down behind a bush to hide. She crouched down and reached out to the little boy. Talbot handed the paper to the man. Sarah handed me an envelope. The monkey seems totally at ease – but this changes in just a second. The animal suddenly swipes at the child sending her flying backwards. The tiny tot was perched at the top of a flight of stone steps which she tumbles down and out of camera shot. She soon put/set me at ease (= made me relaxed) . He was more at ease in the classroom than on a political platform. I did my best to make him feel at ease. I used a broom to swipe at the snake. She opened the window and swiped at the flies with a rolled-up newspaper to make them go out. The draught from the fan sent papers flying all over the room. A fire in the casino sent people fleeing for safety. These are good, strong toys for tiny tots. We perched on bar stools and had a beer. A blackbird was perching on the gate. Rob came over to perch on the corner of her desk. Sophie was perched on the arm of the couch. I lost my footing and tumbled down the stairs. At any moment the whole building could tumble down. He lost his balance and tumbled over. It is thought that the child teased the monkey by dangling a piece of food in front of it before pulling away. The monkey took its revenge by punching her in the face. 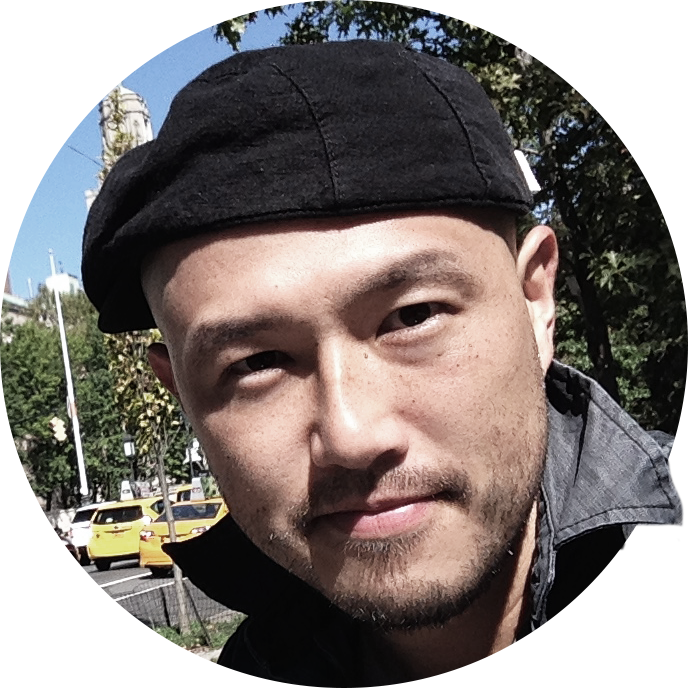 It is unclear where in China the footage was filmed or what type of monkey is featured.